Use this coloring page Spanish Gospel as a tool to reach those who are Spanish-speaking in your community or circle of influence. 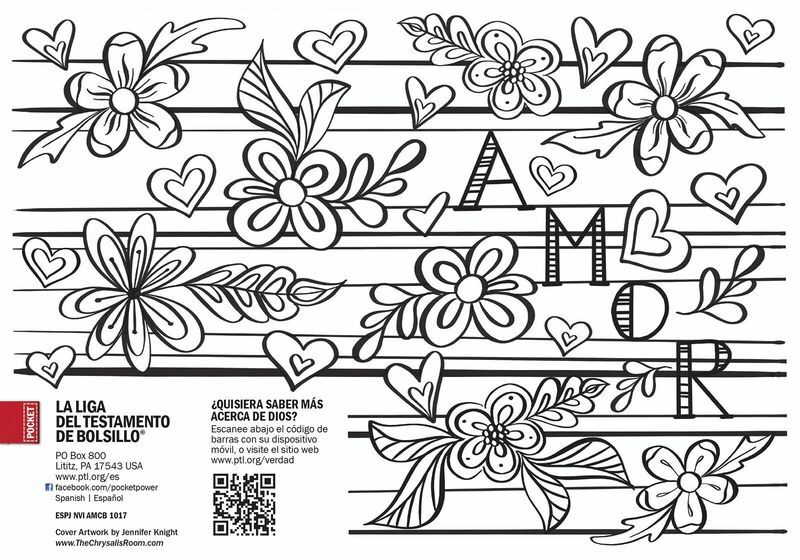 This Spanish coloring page cover Gospel is a great way to show amor (love) to someone you care about. The coloring page trend will attract Spanish-speaking friends, family, coworkers, leaders, and those in your community. As Christians, we get to love others as Christ would love them.